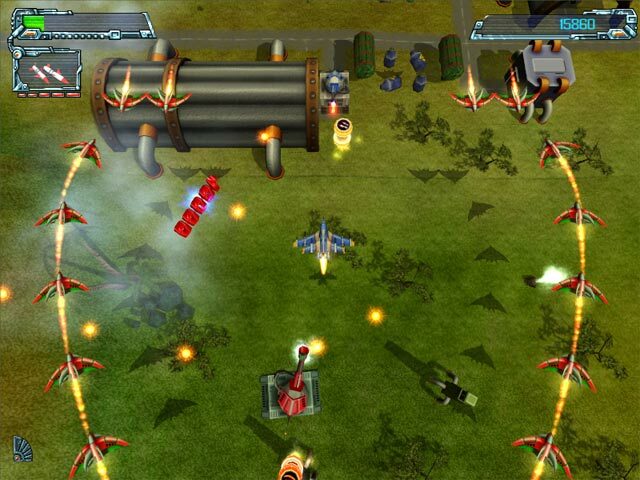 Unleash the fury of a high-tech arsenal on hordes of alien squadrons that are set on conquering humankind! Become a space pilot and take off on 20 challenging missions in your quest to destroy the onslaught of aliens that seem to be everywhere! The battles will be hot and your weapons, hotter, as you blaze through five different landscapes and a myriad of aliens! Don't let your planet down! It's all waiting for you in Space Strike!